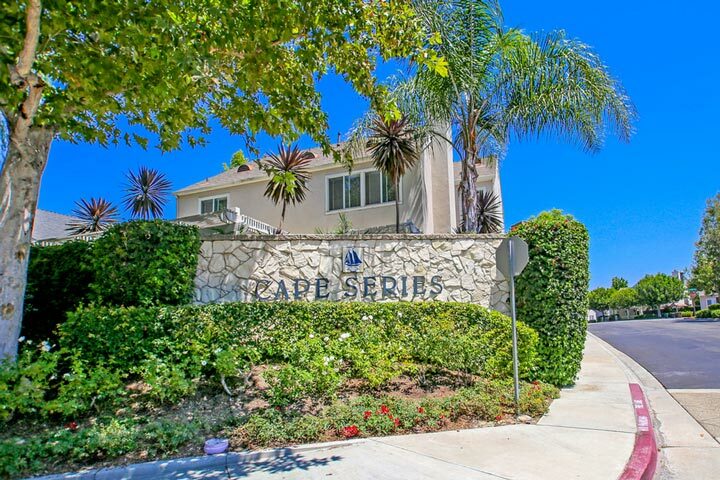 Cape Series homes are located in the coastal community of Aliso Viejo. The Cape Series neighborhood was first developed in 1994 and features three to four bedroom single family homes that range in size from 1,497 to 1,976 square feet of living space. The community gets it's name from the particular architecture that the homes are built in. The developer wanted an east coast feel to the neighborhood and decided to build Cape Cod architectural homes, hence giving the name "Cape Series" for a series of Cape Cod style homes. Below are the current Cape Series homes for sale and for lease in Aliso Viejo. Please contact us at 888-990-7111 with questions regarding this community and any of the homes listed for sale here.